What Is Baking Soda and How Is It Used in Baking? 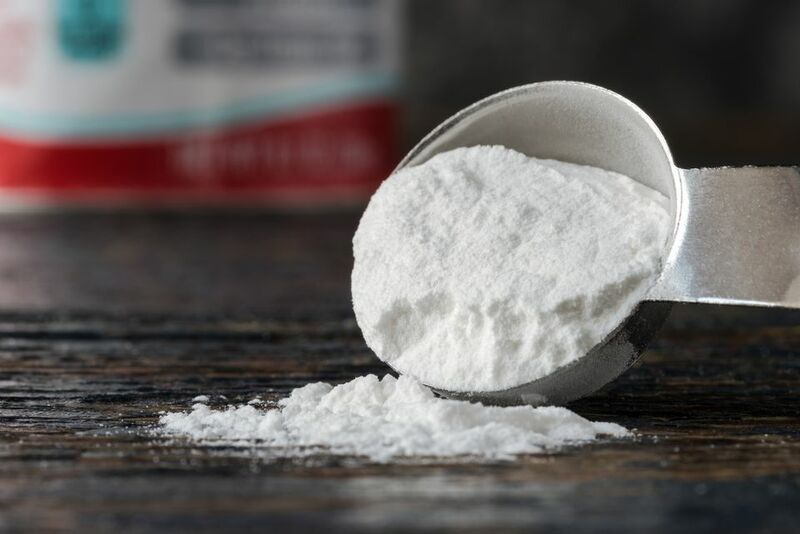 Baking soda is 100 percent bicarbonate of soda and it's a prime ingredient in baking powder. It is alkaline in nature and creates carbon dioxide bubbles when it's combined with an acid, giving rise to dough and batters—it acts as a leavening agent. Baking soda and baking powder are not interchangeable in recipes. Baking soda should be mixed thoroughly with dry ingredients before adding liquids because it reacts with water. This will ensure even leavening, the process by which dough and bread rise. Baking soda is normally used alone when sour milk, buttermilk, or other acidic liquid is included in the recipe. Although baking soda was once added to water before boiling green vegetables because it was thought to preserve color, it is now known that this process destroys the vegetables' vitamin C content. Ignore this old wives' tale. Place an opened box of baking soda into a zip-top bag and squeeze the air out before sealing it. You can also pour the baking soda into an airtight jar and seal it. Be sure your baking soda is still viable before using it after it's been stored. This is called "proofing" it. Measure 1/2 teaspoon into a cup. Pour in 1/2 cup hot tap water and 1/4 cup vinegar. The mixture should bubble. If it doesn't, you need new baking soda. Baking soda is something of a miracle substance. You probably know that you can place an opened box in your refrigerator and it will dutifully eat up any lingering food odors trapped there. It's been used as a deodorizer for centuries. Sprinkle it on your carpet and leave it for 20 minutes or so before vacuuming to lift odors. It's slightly abrasive so it's great for scrubbing down kitchen counters or other surfaces. Mix it with apple cider vinegar and pour it down your sink to clean the drain. Baking soda also has several health benefits. A drink of half a teaspoon of baking soda mixed with two cups water will get rid of indigestion, heartburn, bloating, and gas. Sure, you can go out and buy an antacid, but if you already have baking soda in your kitchen, you're throwing your money away. The primary, effective ingredient in most antacids is bicarbonate. A tablespoon mixed with just a little water will relieve sunburn and itchiness associated with bug bites and rashes as well. One tablespoon of baking soda with half a cup water makes an excellent exfoliator, removing dry skin. Add a teaspoon to your shampoo to remove buildup from hair products. Baking soda is a great teeth whitener, too. Why spend bundles on dental products when you can mix an equal teaspoon of baking soda and water and rub it onto your teeth for five minutes once a week?